← Summer Week 1—Lettuce Begin! Ladybugs, baby! Parent and larva, hunting aphids. 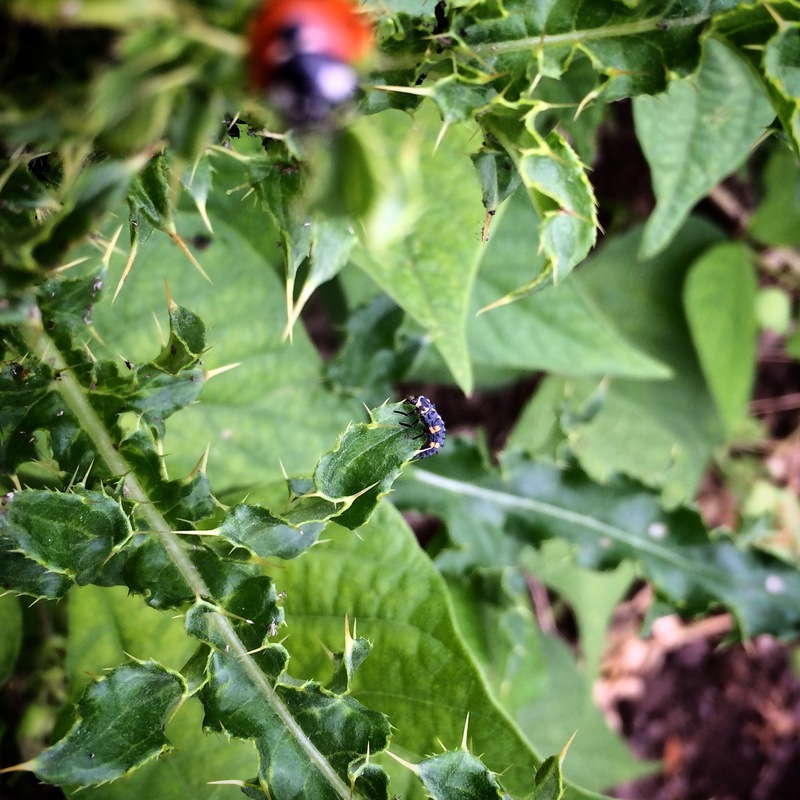 A single ladybug can eat 5,000 aphids in its lifetime, so these are definitely beneficial to the farm! Wowza! It was nearly 100° here today! We are happy about the heat because it will make everything grow quickly, but too much too fast makes it hard to water everything to keep it from dying! Good news is that the outdoor herbs (basils, parsley, cilantro, dill) are all doing great and we will be picking them soon. The carrots, beets, and turnips will be ready sooner than planned, and so will the broccoli and cabbage. Even the beans will be along in another week or two, and that is speedy! 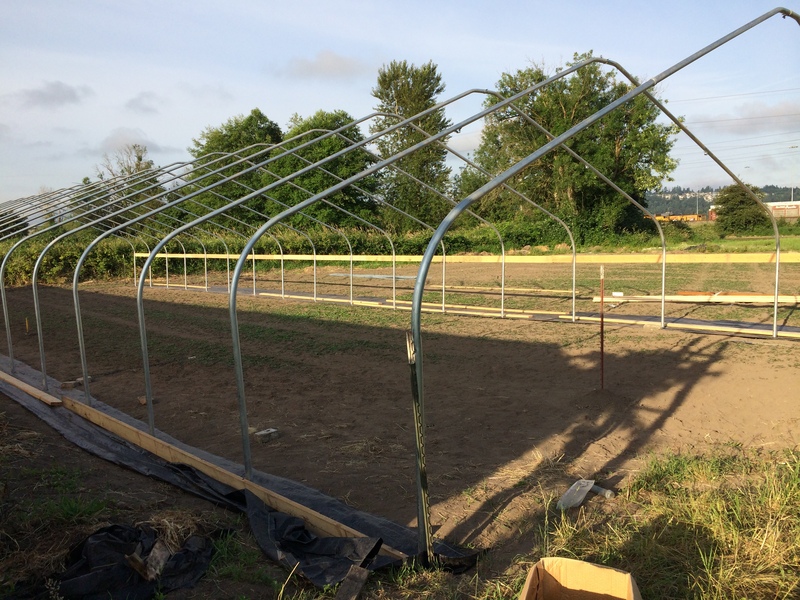 Our next (and larger) plot of peas will be ready next week, too, so you’ll be getting more crunchy sweetness. The new greenhouse is nearly done. It just needs the skin and end walls. So close! Many people have been asking about the u-pick area—next week! We just need to make some improvements to the entryway and get the signs posted, and we’ll be all set. Don’t want anyone tripping in their excitement to pick peas and herbs! 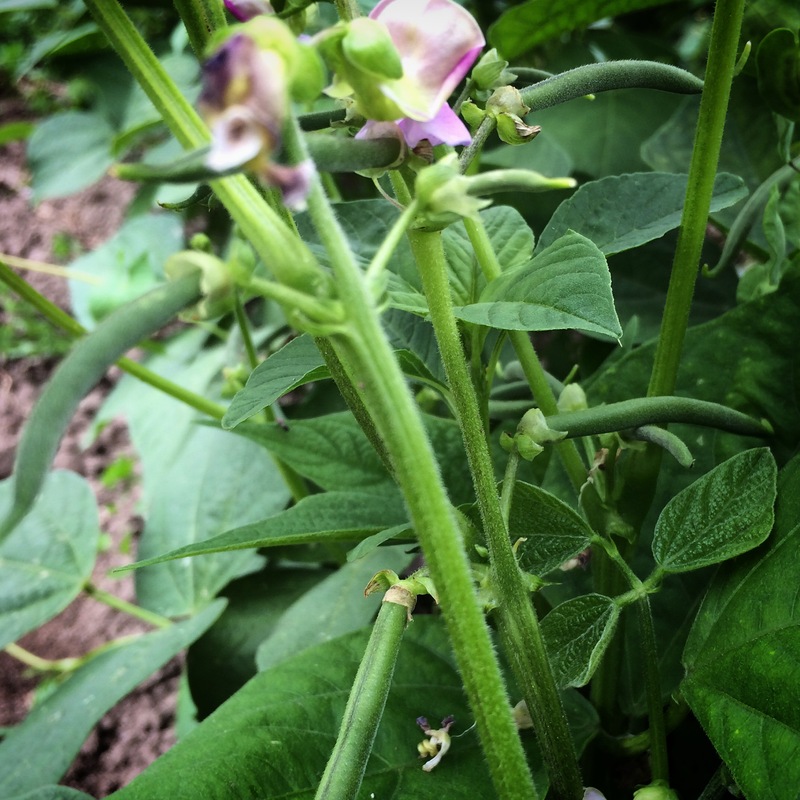 We were able to get an early patch of snap beans planted, back in April, and here they are! Just another week or two until we can start picking! I’ve been searching up some good fava bean recipes, especially any that don’t require cooking, so be sure and check out the Fava Bean page here. It IS salad season, so here’s a handy salad dressing guide. We have enjoyed the BLT salad, but there are so many ways, and with this week’s gigantic romaine heads—I’m screaming for a grilled chicken Caesar! 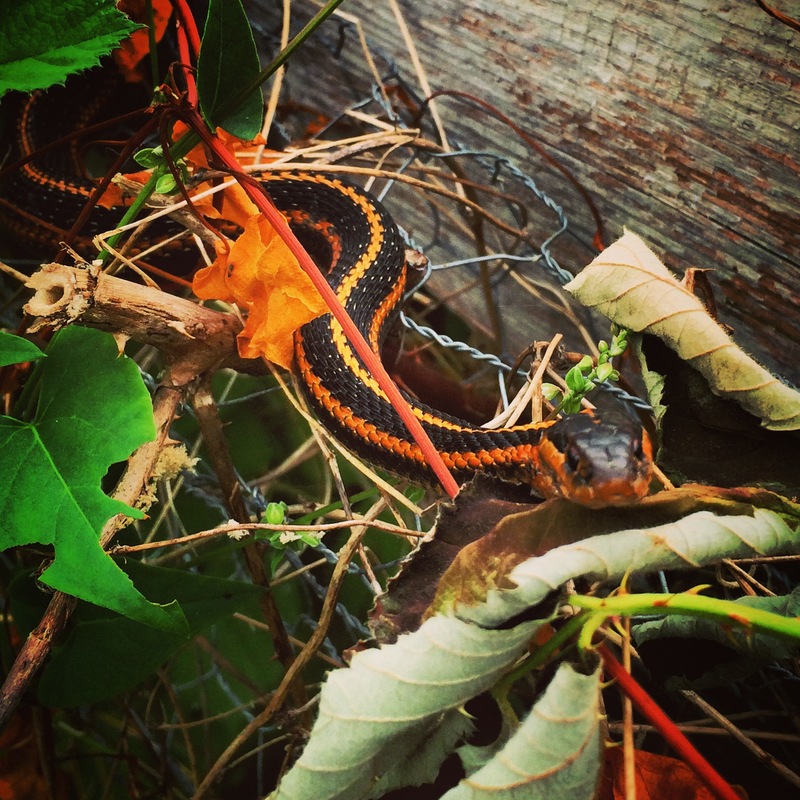 My apologies to those who don’t like snakes, but this garter snake was so beautiful! Usually they have blue stripes, sometimes red or yellow, but I haven’t seen one so vividly orange before. A real beauty, and so valuable to the farm! This entry was posted in Uncategorized and tagged Baby Turnip Greens, Baby Turnips, beet greens, Early Spring. Bookmark the permalink. We have really been enjoying our summer shares, but are really missing the posts about what we will be getting each week. We usually pick up our share on Tuesday evenings, but we make a menu earlier in the week and it is hard to know what to plan for. Is there any chance the posts about what is in our weekly share will start coming out on Tuesdays? I don’t think there was one for last week at all and I wasn’t quite sure what one of the greens was (my husband picked it up and didn’t remember). Hi Cheyenne! I will do better! Honestly, when things get busy I put it off because it seems like no-one reads my posts! If I know readers are reading, I’ll be more motivated. Thanks!